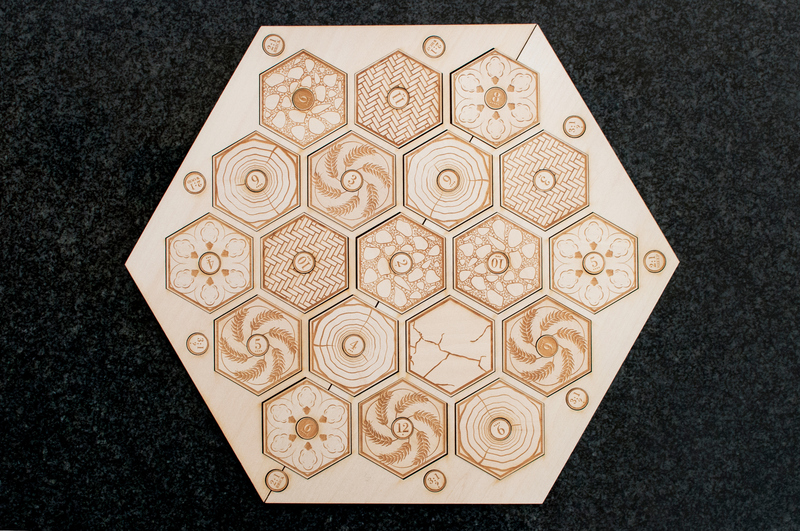 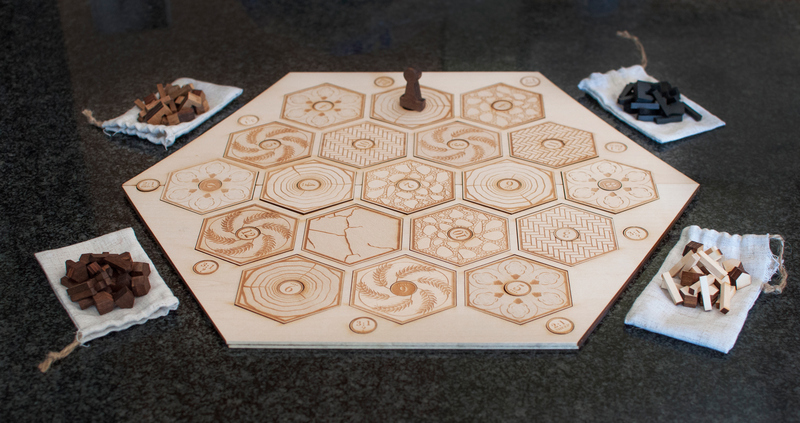 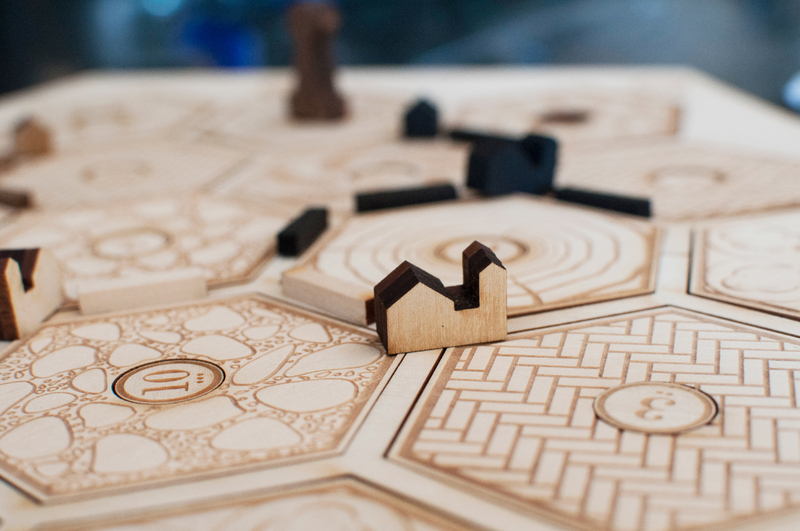 This popular board game was redesigned and laser cut/engraved out of wood. 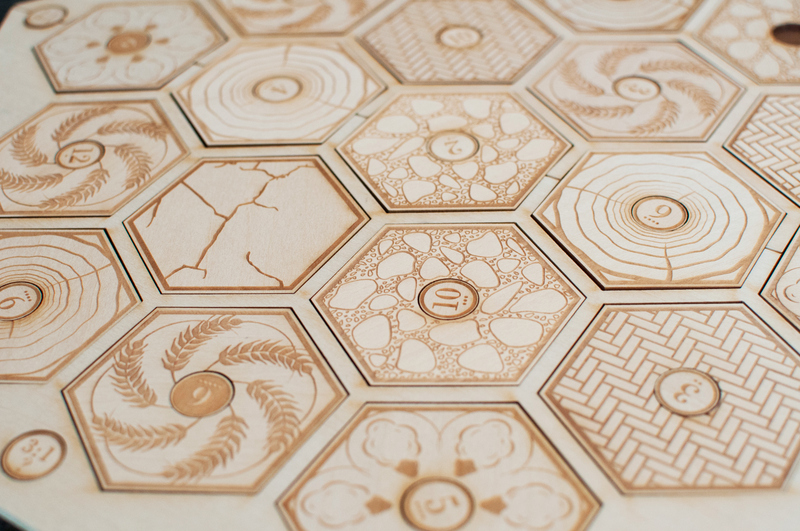 Patterns within the hexagonal pieces were created to visually represent each of the five resources; wheat, rock, wool, brick, and wood. 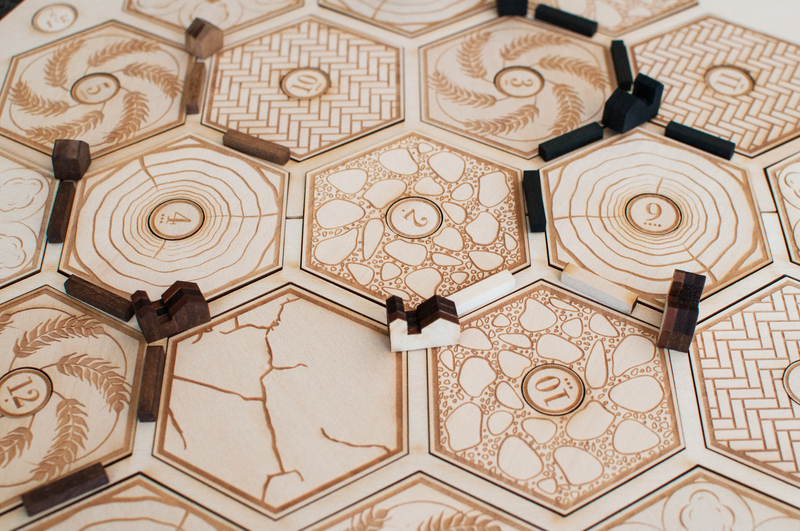 Four contrasting wood stains were used for the wooden playing pieces (roads, houses, and settlements) to differentiate between players while keeping the natural wooden look throughout the entire game set.